The XFX Radeon RX 460 4GB Double Dissipationgraphics card is already factory overclocked, but that didn’t stop us from overclocking the card even further. To do overclocking on the XFX Radeon RX 460 4GB Black Edition graphics card we used AMD WattMan that comes with the Crimson 16.8.1 drivers. 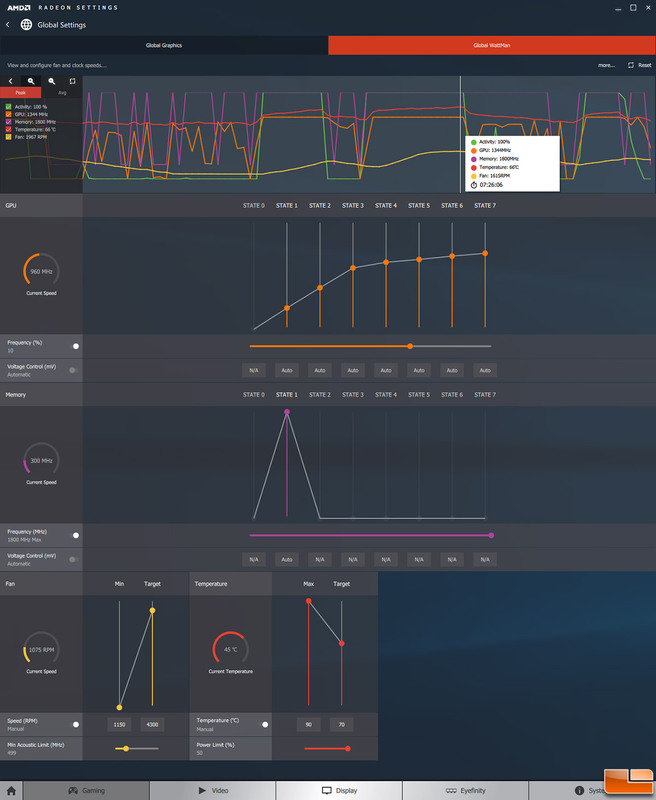 We managed to get a 10% overclock on the GPU and we maxed out the memory slider at 1800MHz, which is just a 50MHz increase. Going from 1750MHz to 1800MHz on the memory isn’t that big of an increase, but it is better than nothing. We also raised raised the power target to 50% and increased the temperature target from 65C to 70C. This overclock meant that we were running at up to 1344 MHz at times on the core clock when fully reaching the new boot clock and the 4GB of GDDR5 memory was running at 1800 MHz (7200 MHz effective). Stock the card was running at 1220MHz, so this is a big increase on the core clock. We weren’t expecting to be able to reach a 10% overclock on the core clock as this is the most headroom we’ve gotten yet on a Polaris GPU! You can see the settings we used to reach this overclock in the slide above. 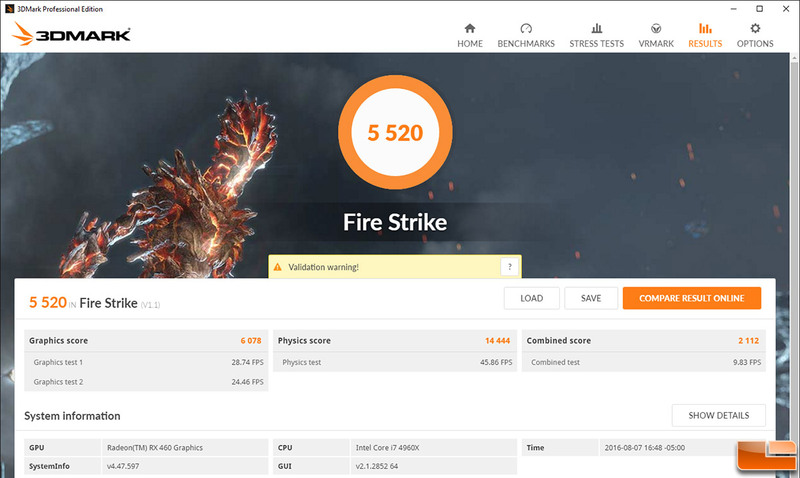 By overclocking the XFX Radeon RX 460 4GB Black Edition graphics card we were able to take the score of 5,221 points on 3DMark Fire Strike and raised it up to 5,520. 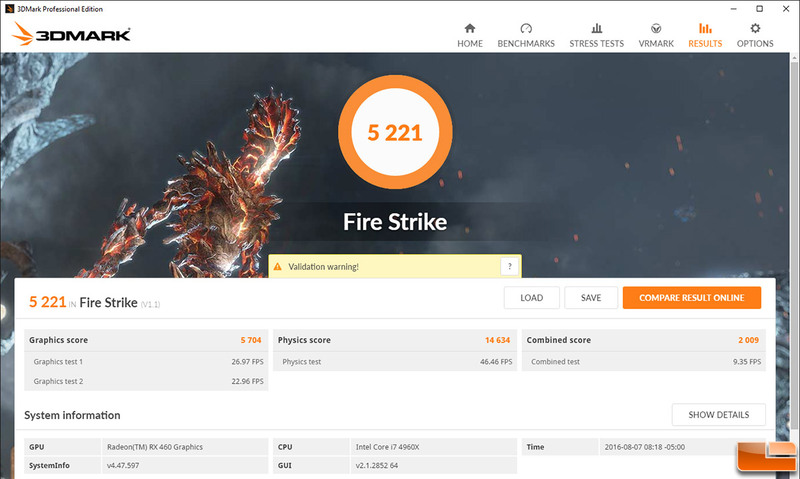 This is a 299 point increase in our overall 3DMark score, which represents a performance gain of 5.7 percent. Not bad considering AMD WattMan limited the memory overclocking to just 50MHz and we know that the memory is holding back performance a bit.